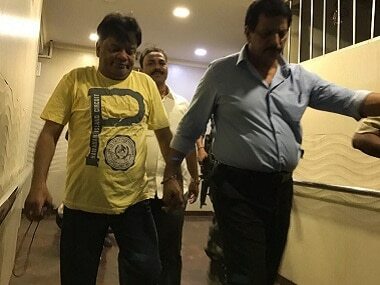 Mumbai: The Enforcement Directorate (ED) has registered a money laundering case against fugitive terrorist Dawood Ibrahim's brother Iqbal Kaskar and others in connection with alleged extortion of a leading builder in Maharashtra, agency sources said on Tuesday. Kaskar and his two aides were recently arrested in Mumbai by the anti-extortion cell of the police. The sources said provisions of the Prevention of Money Laundering Act (PMLA) have been slapped against Kaskar, his aides Israr Z Saiyyad and Mumtaz A Sheikh and others based on the police FIR, filed on charges of extortion and illegal transfer of property. The police alleged that Kaskar and his associates had been threatening a prominent builder in Thane, in Dawood's name since 2013 and extorted Rs 30 lakh and four flats from him. The ED will probe the suspect "proceeds of crime" generated by the accused in this case, they said, adding their statements would be recorded. The agency may also attach their properties under the PMLA, they added. Kaskar was taken into custody from his sister Haseena Parkar's house in Nagpada area of central Mumbai by a team led by encounter specialist and the anti-extortion cell's senior police inspector Pradeep Sharma on 18 September. The police are also investigating if Dawood had any role in the matter and if it is found, he will also be made an accused in the case, Thane Police Commissioner Param Bir Singh had said at a press conference. Kaskar and his associates allegedly demanded Rs 30 lakh and four flats from the builder in Dawood's name. He had also sent his aide to the builder's office and at the construction site to extort money, Singh had said. The builder later gave four flats worth Rs 5 crore and Rs 30 lakh in cash to Kaskar but then also he was being threatened by the accused, the police said. Out of the four flats, three were sold and one was registered in the name of Sayyad, who was staying in it for the last few years, the police had said. An extortion case was registered on the basis of the complaint by the builder at Thane's Kasarwadavali police station under IPC section 384 (extortion), 386 (extortion by putting a person in fear of death or grievous hurt) and 387 (putting person in fear of death or of grievous hurt, in order to commit extortion). Later, the case was handed over to the Thane Police's anti-extortion cell. During investigation, the police initially nabbed Sheikh and Sayyad from Thane. Later, Kaskar's name also cropped up in the case, police had said. The names of some builders and politicians, including corporators, have allegedly also come up during the investigation in the case, Singh had said. Kaskar, who was deported from the United Arab Emirates (UAE) in 2003, is said to be operating Dawood's real estate business in the city, according to the police. He was wanted in a murder case and the Sara Sahara illegal construction case. He was, however, acquitted in both the cases in 2007.